To create transparency in the pharmaceutical industry, blockchain, an open ledger system that spans numerous computer networks, may soon become a permanent fixture in big pharma. A growing number of experts see it as a solution to the massive quantities of stolen and counterfeit pills that have seeped into the industry's supply chain en route to unsuspecting patients. In fact, the Pistoia Alliance found in a survey of 120 life science executives that the idea of blockchain helping in the war on counterfeit meds has met with growing reception in the pharmaceutical industry. Eighty-three percent said they expected blockchain to become a fixture in the industry in the next five years. In September of last year, a consortium of companies, including such titans as Pfizer and Genentech, announced the launch of the MediLedger Project. A brainchild of supply chain consulting firm LinkLab and technology company Chronicled, MediLedger seeks to manage pharmaceutical companies and their supply chains with blockchain tools designed to keep track of all medicines in the nation's pharmaceutical supply chain. The need for greater transparency in the pharmaceutical supply chain has never been more evident. Counterfeit drugs have been a rising problem in developing countries, accounting for $75-200 billion dollars in lost revenue annually. And that number is only expected to grow. Most counterfeit medicines contain ingredients that are harmful, and sometimes fatal. Fake anti-malarial drugs, for example, have been connected to at least 450,000 preventable deaths per year. And an alarming number of other drugs have managed to make it into the counterfeit black market, including drugs used to treat erectile dysfunction, cancer, AIDS, and cardiovascular diseases. One can even add antibiotics and painkillers to the list. Those most at risk in the United States of obtaining counterfeit meds are those who buy from online pharmacies. Online buyers too savvy for their own good, bargain hunters, and seniors are typical victims. Worldwide most of the victims tend to live in poor, sparsely-populated areas with limited access to healthcare. Since the U.S. pharmaceutical supply chain is very secure, chances of getting fake drugs from an American brick-and-mortal are very low. Tracking systems have been set up, therefore, to combat the problem worldwide. Centralized databases have been used in response to the growing problem. Yet, they can be limiting for two reasons. First, the patient filling their prescription can't confirm that they are indeed compliant. And second, the only way a patient can verify they've been taking a given drug is if they get it dispensed at that particular location. The obvious answer is to use a decentralized approach -- like Blockchain. Indeed, blockchain is a decentralized repository of encrypted data that can't be deleted or altered in any way. This ensures a sense of transparency since all computers in the network must agree before any information is recorded on the blockchain. In fact, anyone can check the ledger and guarantee that its data was accurately recorded by the right person. A growing number of experts see blockchain as a potential savior of the pharmaceutical industry. There are in fact ways blockchain can improve the counterfeit meds problem. The place to start would be the pharmaceutical supply chain, a network of all the people, resources, and processes involved in transforming a medicine from raw material to finished product. All these elements work harmoniously to bring the drug from manufacturer to wholesale distributor, then to the pharmacies, hospitals and clinics, and finally the consumer. In the spirit of an earlier law passed in the E.U. 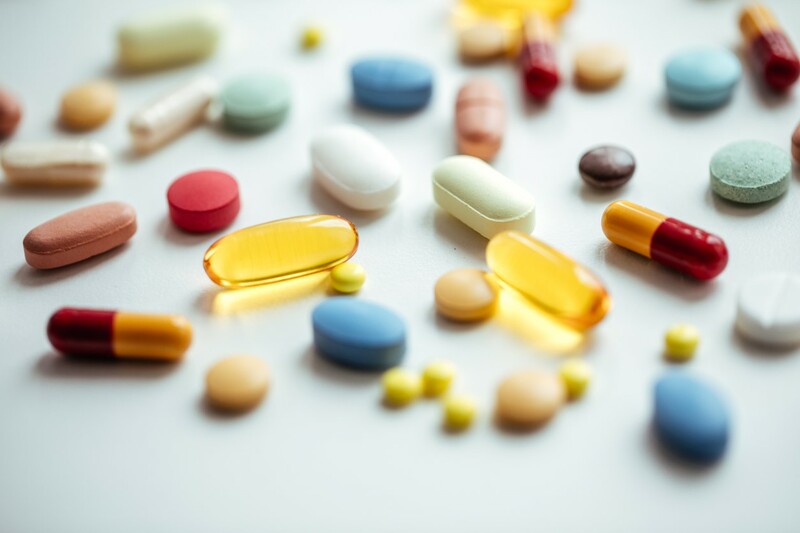 called the Falsified Medicines Directive (FMD), legislators in the U.S. have introduced the U.S. Drug Supply Chain Security Act (DSCSA), which calls for an electronic system to track and confirm medications as they pass through the supply chain. The Drug Supply Chain Security Act (DSCSA). Passed by Congress in 2013, the DSCSA seeks to insulate the pharmaceutical supply chain from fake or questionable meds through an electronic tracking system. The law is expected to help bolster the FDA's ability to safeguard the public from drugs that are illegal or harmful in any way, including those that are contaminated, counterfeit, or stolen. Congress, furthermore, designed a plan that would allow for full implementation by 2023. The Center for Supply Chain Studies in Chicago meanwhile is currently investigating the exact role blockchain could play in the administration of that law. Enacted in 2011, the FMD seeks to protect patients from counterfeit meds by permitting all interested parties like drug manufacturers, wholesale distributors and pharmacists to track and confirm through an electronic tracking system the validity of all medicines in the supply chain. The new system is supposed to be foolproof, and is so far the strictest set of measures set up to monitor the pharmaceutical supply chain. Scheduled to go into effect February 9, 2019, the FMD will require every unit of medicine to become equipped with safety features like a 2D barcode and a tamper-proof security seal. The barcode contains identification data that must be verified before the medicine is disbursed. In fact, the barcode can hold more data than necessary. Admitting the U.S. drug supply chain is one of the safest in the world, Commissioner of Food and Drugs Scott Gottlieb, M.D., said at a public FDA meeting that "complacency isn't an option." He went on to stress the law's urgency given the increasing sophistication of criminal networks bent on profiting from spurious or contaminated medicines. Any weakness in the supply chain will make the entire system vulnerable to these criminals, he added. Gottlieb announced at the meeting the planned release of two FDA proposals meant to offer guidance in implementing the law. One is entitled, "Standardization of Data and Documentation Practices for Product Tracing." It's intended to help trading partners standardize the product tracing information per section 582 of the Food, Drug and Cosmetic Act (FD&C) Act of 1938. That law, still in force today, was enacted after an untested drug a year earlier killed many people, including children, shortly after hitting the market. It added tougher regulations on food and drugs than its flawed predecessor, the 1906 Food and Drugs Act, which banned the interstate transportation of wrongly labeled and contamined medicines and foodstuffs. The 1938 law handed down consumer protection provisions against illegal cosmetics and medical devices. It also strengthened enforcement protocols. The other FDA proposal is entitled "Definitions of Suspect Product and Illegitimate Product For Verification Obligations Under the Drug Supply Chain Security Act," which is intended to identify any dubious medicines that have made it into the drug supply chain. America's trading partners are required to act if they find any suspicious products. One advantage to using a blockchain to track counterfeit meds is speed, as data stored on it enables all involved parties to trace it quickly. It also helps let authorities identify who handled the shipment last. Moreover, the MediLedger Project aims to provide transparency at every step of the distribution process, giving a computer system the ability to confirm the origin and veracity of a pharmaceutical shipment. This would make it harder for criminals to traffic in stolen or contaminated medicines. Using blockchain for this purpose represents a major accomplishment. "The pharma industry consists of large conservative companies, so it takes a lot of confidence to build up a network like this," said Ryan Orr, co-founder and CEO of Chronicled.